A two phase renovation of this Lake Claire home began with the demolition of the original garage. On top of a new foundation but in the same footprint, Red Level constructed a new two-car garage which matches the traditional style of the home, and features a stone veneer water table, carriage doors and coach lights. The original weathervane was preserved and reinstalled on the new garage. Red Level then began the second phase of building with a new rear porch for the house. An old brick patio was removed and relocated next to the new garage. The new four column porch resembles the home's existing front porch with a painted wood floor and a beadboard panel ceiling equipped with two ceiling fans. To tie the house and new garage together, the water table and stair were lined with the same stone. As a final step, the old driveway was removed to allow the homeowners to fence in their backyard for the safety of their children and pets. 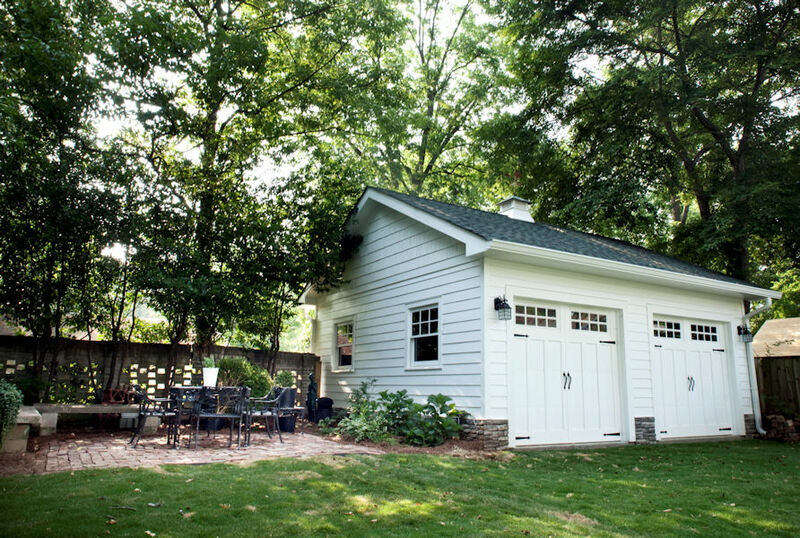 The garage will serve as storage for the clients, but can easily be returned to a functioning garage for a future homeowner by adding a new driveway.